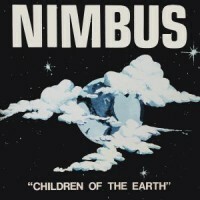 Providenciales Records proudly presents its first release, a reissue of Children of The Earth by the band Nimbus, independently released in 1980 in the USA, and including an exclusive track from their second recording session (only available digitally), "You're Everything To Me". The band, made up of 4 friends, used to play jazz and soul music at bars in Detroit, when they decided, in 1979, to record an album gathering compositions of a couple of band members. They gave birth to Children of The Earth, a sophisticated and melodious album, with a pinch of AOR, a relish of modern-soul, but also some jazz and folk influences. "Baby You Know" or "Nezarai" give a groovy dimension to the album, whereas "Hold Me Close" or "What You Mean to Me" are more laid-back tracks. “You’re Everything To Me”, the digital bonus track of this reissue, which comes from a another recording session, was previously unreleased. With less than 1,000 copies pressed and sold locally, the band didn't have the chance to reach a broad audience until recently. In the past few years, Bill (bassist of Nimbus) received dozens of emails from collectors around the globe (Japan, USA, France, UK, Netherlands...) asking for a copy of it.